When your organization is in crisis mode, answering a reporter’s call is likely the last thing you want to do. You don’t have the time to devote to an interview and you definitely don’t want to say the wrong thing! However, one of the keys to successful crisis communications is sharing the right information in a timely manner. If the crisis involves public safety, it is crucial to get important messages out to the public accurately and quickly. But the right response isn’t so obvious when you’re dealing with a crisis, such as a lawsuit, employee dispute, worksite accident, or another issue that can damage your organization’s reputation. Pause and think. If a reporter approaches you in person when you’re not expecting it, it is perfectly acceptable to ask for a few moments to prepare. Another option is to ask if you can schedule the interview for a later time if you are unable to do an interview on the spot. If you absolutely cannot do an in-person or phone interview with a reporter, send a written statement so it doesn’t appear that you’re ignoring the request for information. Remain calm. Don’t get angry. If a reporter puts you on the defensive, correct the record calmly and get back to your key messages. Remember that reporters ultimately have the power to shape public opinion, depending on how they write their articles and which quotes they choose to publish. Angry or inflammatory quotes are more exciting, so they’re more likely to be printed. Don’t discuss cause, fault, or liability. The most difficult questions immediately after something bad happens are “why” and “how.” Reporters and the public may have opinions about why or how something happened, but opinions aren’t facts. Stick to confirmed information and refer back to tip 5 – don’t speculate. Never make comments “off the record”. 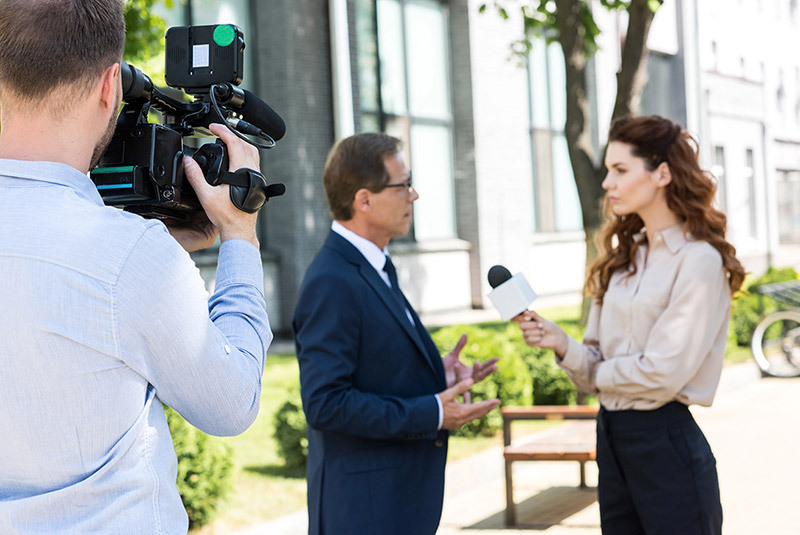 Assume everything you say from the time the reporter arrives until the time that person leaves is “on the record.” This is true even if you specifically say, “This is off the record.” Even if the reporter is no longer taking notes, the tape recorder is shut off, or the camera is not rolling. ANYTHING YOU SAY MAY BE REPEATED. I’ve been asked by clients if there are any professional standards or consequences for a journalist who reports something that was supposed to be “off the record.” Unfortunately, there is not. Journalists are not legally obligated to respect your off the record request, even though ethically they should. Don’t be afraid to ask the reporter questions. In fact, asking your own questions right away when you receive an interview request can help you better prepare for the interview. Feel free to ask questions such as “What have you heard?”, “Who else have you contacted?” and “What type of information are you looking for?” before or during an interview.